Theresa May’s last-minute Brexit agreements “reduce the risk” that the UK could be trapped indefinitely in the backstop, but do not remove it altogether, Attorney General Geoffrey Cox has said. The Attorney’s legal advice deals a significant blow to the Prime Minister’s hopes of overturning MPs’ 230-vote rejection of her Withdrawal Agreement in the second “meaningful vote” on the deal in the House of Commons on Tuesday evening. Shadow Brexit secretary Sir Keir Starmer said Mr Cox had confirmed that “no significant changes” had been secured to the Withdrawal Agreement and the Government’s strategy was “in tatters”. 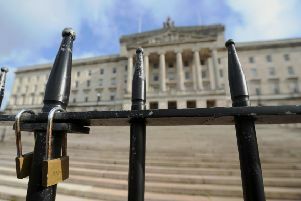 The advice was issued the morning after Mrs May’s dash to Strasbourg to finalise a deal with Jean-Claude Juncker which she said would deliver “legally-binding” reassurances for MPs to ensure the Irish backstop cannot be permanent. In it, Mr Cox said that documents agreed in Strasbourg “reduce the risk that the United Kingdom could be indefinitely and involuntarily detained” in the backstop by EU bad faith or a failure by Brussels to use its “best endeavours” to negotiate a permanent deal on the future relationship. And he said that “the legal risk remains unchanged” that if no such agreement can be reached due to “intractable differences”, the UK would have “no internationally lawful means” of leaving the backstop without EU agreement.